For people concerned about the humanitarian and environmental practices involved in African and Russian diamond mining, a diamond from Canada can present a sparkling alternative. These gems, which are mined in one of several Canadian diamond mines, are easy to find in jewelry stores and online. When shopping for Canadian diamonds, it's essential that the stone come with the proper documentation. To avoid purchasing a diamond labeled Canadian that may in fact have been mined elsewhere, always request to see the certification paperwork that details the diamond's origin, refinement location, and other steps along its way to the jeweler. 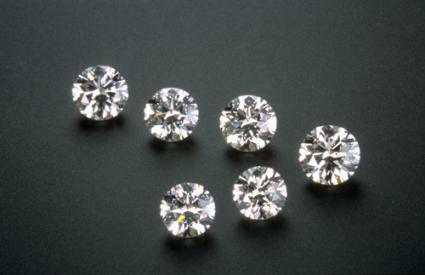 It's also important to note that many, but not all, diamonds from Canada feature a laser inscription. Geology.com reports that this inscription may consist of the stone's individual certificate number (matching the paperwork), a logo with a maple leaf or polar bear, or the words "Ice on Fire." The inscription may also say that the diamond is a product of Canada. The following retailers specialize in Canadian diamonds and can offer the appropriate paperwork with their stones. With a great selection of diamonds guaranteed to come from Canadian mines, Brilliant Earth is an excellent source for the centerpiece of your engagement ring. 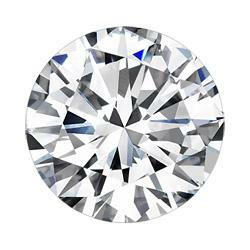 You can choose your diamond based on shape, carat weight, color, clarity, cut, and price. Blue Nile specializes in selling diamond jewelry online, and diamonds from Canada are no exception. They have an extensive searchable inventory of gems for you to choose from, and each is accompanied by its proper certificate. There are several reasons you may want to consider a Canada-mined diamond for your engagement ring. , and it also guarantees a high-quality stone due to the exceptional value of diamonds mined in your homeland. Non-Canadian buyers are also requesting Canadian diamonds because of the desire to avoid conflict diamonds and because Canadian stones have a reputation for high quality. According to Natural Resources Canada, 20% of Canada's diamonds are gem quality. The Gemological Institute of America reports that worldwide, less than 20% of diamonds are of gem quality. This indicates that stones mined in Canada are above average as jewelry-quality gems. Diamond mining can be very destructive to the environment, often requiring the use of heavy equipment, the movement of hundreds of tons of earth, and the destruction of natural land and aquatic habitats. According to the Canadian Diamond Code of Conduct, diamonds mines in Canada must adhere to the strictest environmental safety standards of any diamond mines in the world. Around the world, diamond mining is fraught with ethical problems. According to Amnesty International, diamonds are often sold to fund civil wars and genocide, leading to the term "conflict diamond." If you want to make sure your engagement ring dollars don't go to fund bloodshed, you can choose to purchase a diamond mined in Canada. If you're from Canada, buying a native diamond can ensure you are supporting your national economy by helping fund jobs and government programs Canada's federal government is benefiting from the diamond production through increased business and income taxes, as well as the international trading of rough stones. The population, particularly native aboriginal peoples, has seen a rapid increase in high-paying jobs, both directly in the mines as well as in cutting and polishing facilities. It is expensive to mine diamonds in Canada, particularly in the north where winters are harsh and the environment is especially fragile. Companies must take into account the delicate ecological balance, even working around caribou migration patterns. Yet Canadian diamonds are of such high quality that the mines continue to be extremely profitable, regardless of the additional measures taken to protect the environment. Since the 1960s, mining companies have been seeking diamonds in Canada, but it wasn't until kimberlite deposits were discovered in the 1980s that the prospect of Canadian mines became feasible. Today, according to Natural Resources Canada, the country has six diamond mines and is one of the world's top diamond producing nations. Ekati Diamond Mine was the first mine in Canada, opening in 1998. It's located near Yellowknife, Northwest Territories. Diavik Diamond Mine opened in 2003. It's located in the Northwest Territories in the North Slave Region. Jericho Diamond Mine ran from 2006 through 2008, and parts of the mine are still being processed. This mine is located in Nunavut Territory. Snap Lake Diamond Mine began production in 2008, and it is the only completely underground diamond mine in Canada. It is located near Yellowknife, Northwest Territories. Victor Diamond Mine began production in 2008, and it is located in Ontario. Gahcho Kue Diamond Mine is expected to begin production in 2015. It is located near Kennady Lake in the Northwest Territories. Once the rough stones are extracted, they are distributed to refinement facilities to be cut, polished, and graded for quality. There are such facilities in Canada, including Winnipeg, Toronto, and Vancouver, but the majority of Canadian diamonds are exported to Belgium and the United Kingdom, where the facilities at Antwerp and London are renowned for their finishing. After being cut and polished, the stones are redistributed throughout the world - including returning to Canada - for sale as brilliant pieces of jewelry. At one point, controversy existed due to the fact that Canadian diamonds are shipped overseas for cutting and polishing. Concerns were raised that foreign stones, including controversial blood or conflict diamonds, might be mixed in when stones are shipped back. Canada does participate in the Kimberly Process, a certification regimen that seeks to eliminate the trade of illicit diamonds. Along with this, the Government of the Northwest Territories took further steps starting in 2000, when they instituted an in-house certification process. Diamonds mined in this territory are sold with an official certificate issued by the government that guarantees diamonds are not only mined but also cut and polished in the NWT. Still new to the international market, Canadian diamonds demonstrate their brilliance with exceptional quality and value. For many couples, where a gemstone originated is a key factor in their selection of an engagement ring, and Canadian diamonds provide an unexpected alternative to far-away stones.